Discover the old world charm of Chennai, capital of Tamil Nadu, renowned as the Gateway to South India! Indulge in South Indian cuisines and delicacies served with fine hospitality at a local restaurant! Regarded as a hub for culture and the arts, watch a classic Bharatanatyam dance unique to Tamil Nadu! For just half a day, have the coastal city of Chennai within your grasp as you privately tour around its exquisite cultural attractions and age-old heritage! Marvel at the charming blend of new age cityscapes and ancient attractions dating back as early as the 7th century! Begin your adventure within the capital of Tamil Nadu with a convenient pick up at your hotel lobby. Reinvigorate your morning with a vibrant prayer ceremony at the Marundeeswarar Temple, a place of worship and legends cementing its place as a significant religious site. 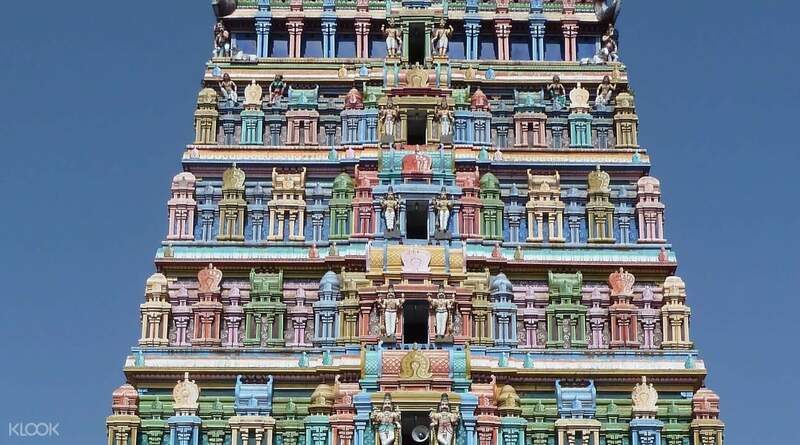 Marvel at the intricate engravings of towering gopuram or gatehouse towers dedicated to the Hindu god, Shiva. Move on to a local restaurant for a refreshing South Indian breakfast served on banana leaves that will surely boost your energy for the next stop of the day! Arrive at Kalakshetra Dance Academy, a respected institution for the arts, and witness a riveting Bharatanatyam dance! Originating in Tamil Nadu, watch mythical stories and religious themes unfold in expressive forms of dance performances accompanied by mesmerizing music. Don’t dare miss awe-inspiring musical traditions that granted Chennai a place within UNESCO’s Creative Cities Network list! Follow the artistic trail and see the finest works of homegrown talents at the academy's art gallery. Concluding this tour, a relaxing trip back to your hotel will be arranged, guaranteeing a truly hassle-free experience all throughout. 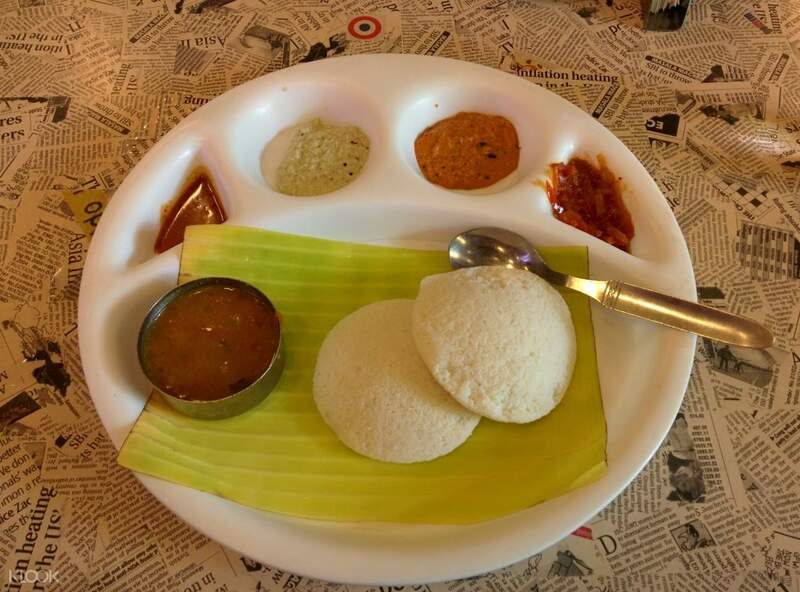 Eat like a local and enjoy a traditional South Indian breakfast packed with flavorful delicacies! 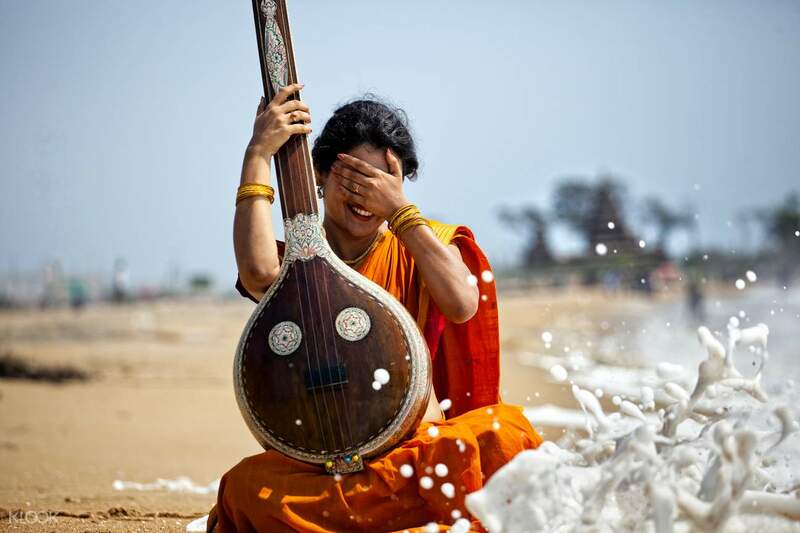 Chennai proudly belongs to UNESCO's list of Creative Cities Network for its rich musical traditions!